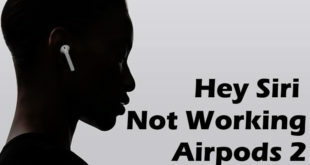 Apple’s Wireless AirPods users investigate a sound problem that the AirPods disconnecting on calls from iPhone. They also added, the Airpods fully charged. However, Wireless AirPods dropping Calls randomly, not while listening music, podcast. AirPods are disconnecting calls issue in Most of the iPhone 6S and iPhone 6S Plus with iOS 12 users. So manually re-connect required again. With iPhone 7 and big size iPhone 7 Plus owners not reporting such kind of problem. Significant reporters said that the Apple is now looking into a potential fix for the issue. Even though, for that user who doesn’t want to wait for that then you should try to follow some basic AirPods troubleshooting; many affected users follow these tricks as per Apple support communities reporting form. So I hope this would be work batter and quickly in your case. To reset network Settings, Go to Settings App, Tap on General, Scroll down the screen and tap on Reset, touch on Reset Network Settings, you’ll be asked to enter your iPhone Passcode, in the end, you’ll be prompted Reset Network Settings, so tap on that. You lose if reset iPhone network settings including erasing all current saved settings, including Wi-Fi passwords, preferred networks, and VPN settings. Get, how do you reset your iPhone? Take your iPhone on hand and Press and hold on sleep/wake button until you appear to slide to Power off. Then drag that slider to turn off iPhone. Again, follow same steps to turn on your iPhone back. Now, Pair AirPods. In case of found AirPods dropping Calls randomly issue further then keep continue for next clues. 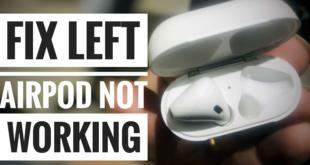 Many users found that the Reset AirPods fixes the AirPods Disconnecting during iPhone Calls problem. To Reset AirPods, you have to Press and Hold the Setup button on your AirPods case for at least 15 seconds until the status light starts flashing amber. Then after reconnecting your device again. Note: Reset AirPods charging case is also useful and an ideal way to fix AirPods battery drain issue. You have to disconnect all other bluetooth devices including bluetooth speakers, Bluetooth LED bulb, apart from AirPods and try to use again. If none of the tricks work in your case, then contact Apple Support and or Did you find any solution to fix AirPods Disconnecting on Calls? Please share with us and drop in the below comment and be helpful for our readers.